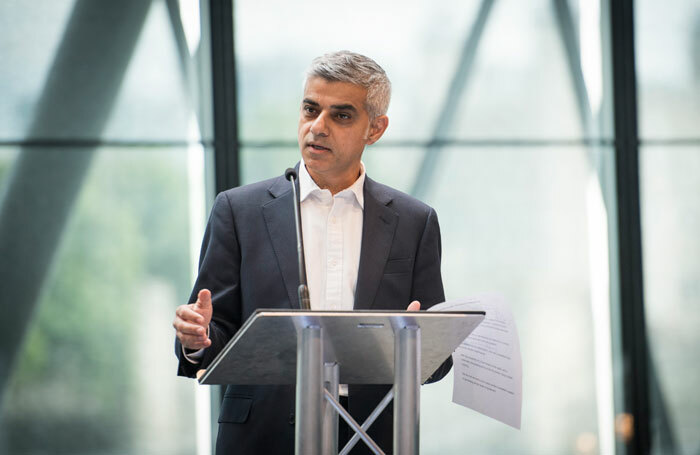 The mayor of London Sadiq Khan has announced the capital’s first six creative enterprise zones, which will be awarded £11 million in funding to support artists and businesses. Khan also revealed that Southwark Playhouse’s new theatre would be given £750,000 by the mayor’s Good Growth Fund. Spread across seven boroughs, the aim of the zones is to support artists to establish themselves in local areas  and to develop skills and job opportunities for local people. The six zones to be announced include Brixton in Lambeth, Croydon – which aims to become a “music city” nurturing young people to enter the music industry – and the borough of Lewisham. Hackney Wick and Fish Island, in the boroughs of Hackney and Tower Hamlets, will be another zone, alongside areas in the boroughs of Hounslow and Haringey. The creative enterprise zones aim to create more than 3,500 jobs, 1,000 education opportunities and 40,000 sq metres of affordable workspace. The funding for the creative enterprise zones includes more than £4 million from the mayor’s £70 million Good Growth fund, which supports regeneration in the city. Khan also awarded £750,000 from the Good Growth fund to Southwark Playhouse, towards the development of its new venue . The theatre has now raised 90% of its £2.8 million target, which means it can start building work on the project early next year, with a scheduled opening in the second half of 2019.